The GCCC liked the care group’s temporary bag holder so much they copied it! 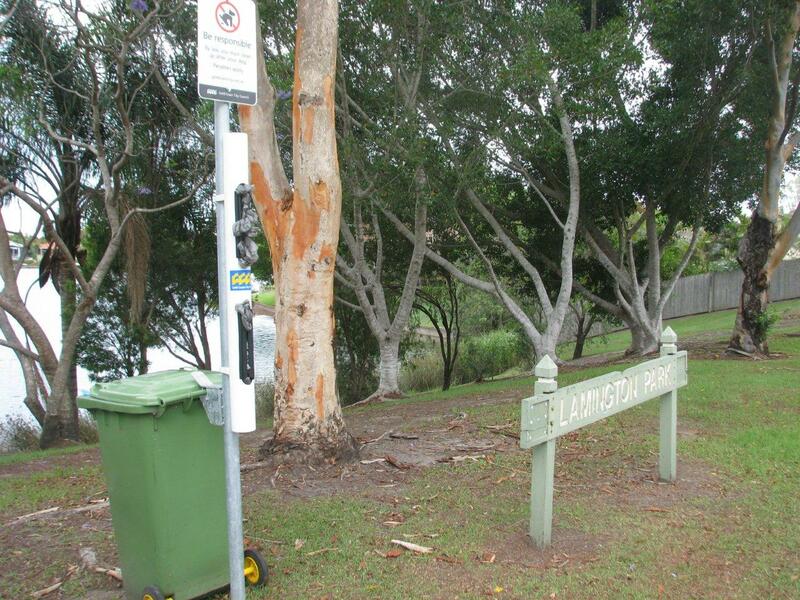 Council has installed their community doggy bag holder along with a new bin in Lamington park. The idea of the community bag holder is to allow people in the local community to top up the holder with their unused plastic shopping bags. This not only saves the council money with supplying and filling the dispensers, but allows reuse of the abundant plastic bags supplied by shops etc. Could you please support this initiative. If the dispenser supply becomes low could you please refill – Simply roll up bag and push through the slot.